Wondering where to plan a family vacation this year? Rent a timeshare and show the kids history where they can see it, feel it, and touch it. This is the first in our series of "Places Every Kid Should See” and we’re starting with New York City. There are three must-see places in New York City. 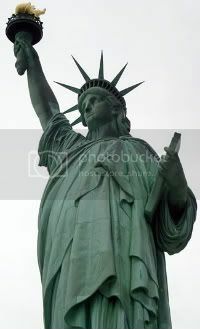 Rent a New York City timeshare and your exploration of history here can be very affordable. Start by taking a fun ferry ride out to the Elis Island Museum. One of the country's most popular historic sites, Elis Island, where 12 million immigrants were processed, has been transformed into an exciting museum complete with fun interactive exhibits. The "Living Theater" uses professional actors to bring to life the experiences of the people, including children, who left their homes to come to a strange land in search of freedom and opportunity available no where else on earth. Because the Elis Island Museum is so heavily visited by families, good planning will make your experience a happy one. There is nothing more iconic to NYC than the Statue of Liberty. Your kids have seen this image over and over, and now is the chance for them to actually experience it in person. The statue sits on a 12-acre island in New York Harbor, so getting out to the island will be another chance for the kids to enjoy a fun ferry ride. Your kids will be thrilled to know they can actually climb up inside the statue. There are 168 steps to reach the top of the pedestal on which the statue rests. Access to the crown, itself, is allowed, but due to the narrow, winding stairs few people can pass through at a time, and therefore reservations and tickets are required. The inside of the statue is cramped and often hot, so be sure members of your family are up to the challenge. When your kids have climbed the 354 steps (22 stories) and are actually standing up inside the crown of the Statue of Liberty looking out across the harbor, they'll experience the thrill of a lifetime. The third must-see site in NYC for your kids is Ground Zero. To most adults the September 11, 2001, attacks on the twin towers of the World Trade Center feel like they happened just yesterday. But it's been enough years now that many children were too young at the time, or hadn't even been born, and so perhaps do not understand the great importance of this disastrous attack on America. Audio tours, or a guided tour, at the Memorial Museum will teach your kids about this event, and will help you discuss their questions and feelings.